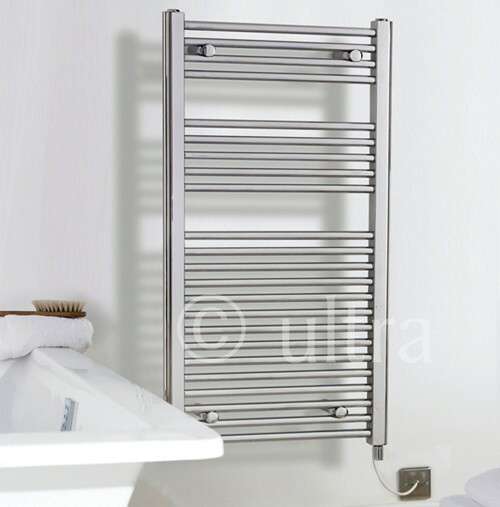 Ultra Radiators > Electric Bathroom Radiator (Chrome). 500x1100mm. Electric bathroom radiator in chrome. 765 BTUs. Size 500W x 1100H mm. 5 Year guarantee: Ultra guarantee this electric bathroom radiator for 5 years. The Ultra range of high quality radiators offers a wide choice to suit any budget and taste, with many modern and traditional designs that can become a talking point in any room.